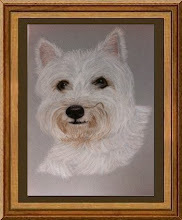 "Genista Pawtraits" is where you can find samples of my work which I mainly do for pleasure, family and friends. 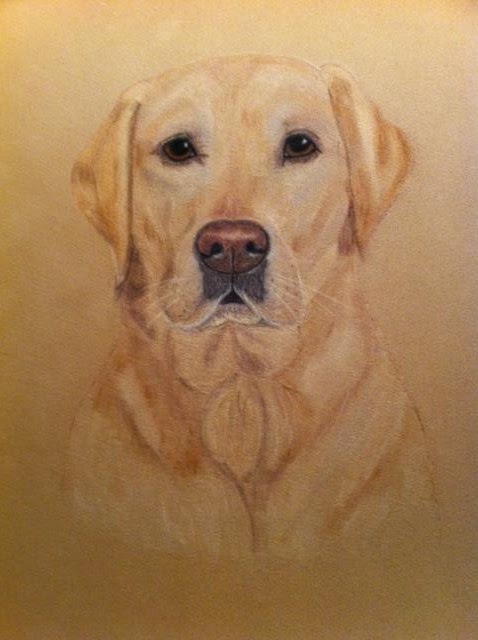 However, I have recently started taking commissions for Pastel Pet Portraits. I aim to create exquisite pastel pet portraits from your photographs that bring out the spirit, character and personality of your beloved and cherished other family member, with their unique personalites, cheeky grins, they make us laugh and smile and love us unconditionally. What would we do without them? 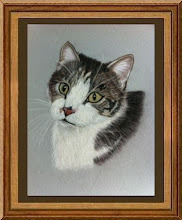 I am a pet owner and animal lover myself, and I understand how much pleasure and comfort an original pastel portrait can bring, either by celebrating an adored pet or remembering one we have sadly lost. 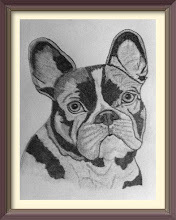 A commissioned pet portrait or gift voucher makes a unique birthday, Christmas, wedding or anniversary gift that will be treasured forever by the recipient. I hand paint each portrait using photographs as a guide. 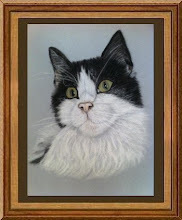 I am not trying to make the painting look like the photograph but hopefully to enhance it to bring out your pets personality and character as a painting. Several photographs can be used to get the required pose and changes can be made to remove e.g. a hand, collar, "red eye" etc. It is important to use as clear a photograph as possible as a guide as the quality of the photograph will directly influence the detail of the painting. I love to paint/draw, it is my refuge at times and a celebration at other times. 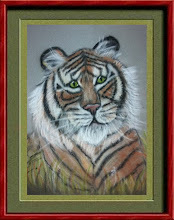 I paint/draw in many styles/mediums as you will see over the coming months. 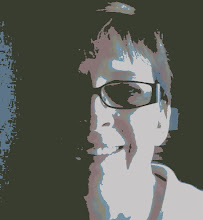 Please take a look at all my pages on this blog. For Available Artwork please take a look at my pages and/or my Website. 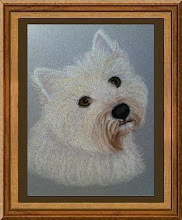 Visit my "Prices/Sizes" page and"How To Commission A Portrait" for information. Hillary Rose - "Genista Pawtraits"
Pastel Portrait on a rich sandy velour paper created using pastels/pastel pencils for Christine. One of my Christmas commissions. Hope you like him. Wow! Bailey is just beautiful! Your work is just stunning, Hillary Rose! Thank you so much Mitch and Molly! 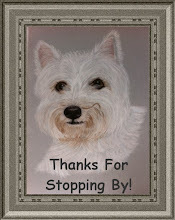 I do appreciate you stopping by and taking the time to leave a comment. Thank you for taking the time to leave a comment! Your opinion is greatly appreciated! Contact me as soon as possible to avoid disappointment if you require a portrait for a particular date. "Smile, It Does Your Heart Good!!" 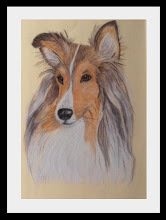 The House Of Genista "Genista Pawtraits"
Genista is pronounced "Jennista" with a "J" but spelt with a "G"
"It came to me that every time I lose a dog they take a piece of my heart with them. And every new dog who comes into my life gifts me with a piece of their heart. If I live long enough, all the components of my heart will be dog, and I will become as generous and loving as they are"